If you are familiar with the Black Eyed Peas “My Humps” you will love this awesome remake, courtesy of Alanis Morissette. Here is the Black Eyed Peas Version for reference. Ever wonder what keeps me running so hard for so long? 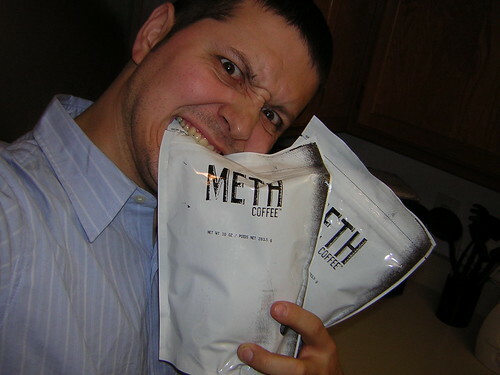 I can tell you this, the Meth Coffee definitely does not hurt any :) Fortunately, when I can’t get my Meth Coffee fix, San Francisco is home to some of the best little coffee shops I have ever been to and are available everywhere, and at all hours. Dave — if you are reading this — when are you coming out? I know if anybody will appreciate the 24/7 availability of coffee it will be you. 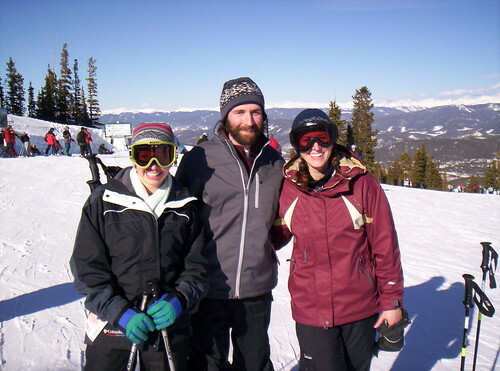 I’m just catching up on uploading photos and blogging about them, so here is one from February. I was told it was going to be warm (70 and Sunny) here in San Francisco, so imagine my surprise when I was working at my apartment and heard it start hailing! 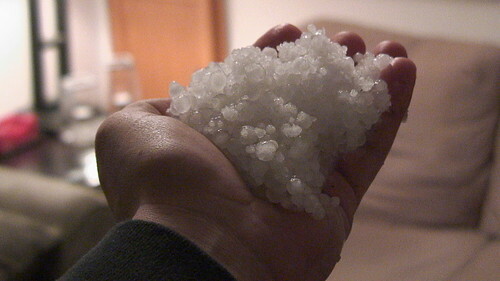 I snapped this photo really quickly of a handful of the hail outside my door. Not too long ago, Amy and I took a weekend trip to Los Angeles to see the musical Wicked (which was amazing) and to see the sites. This is one shot Amy took really quickly from the drive down. She is driving, and I am in the back seat editing an episode of her video podcast “Fit Life”. We had a great time the whole weekend… click the photo to see photos of the Hollywood Sign, the La Brea tar pits and other sites from Los Angeles, CA.